360-degree protection for your iPhone. Magnetic cover keeps your phone protected at all times. Check the time and notifications without opening the cover. 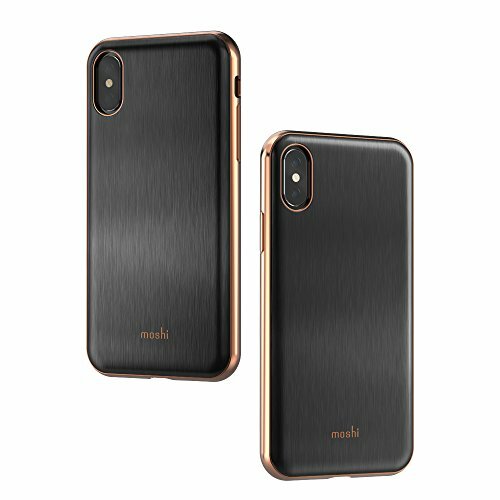 Moshi's StealthCover for iPhone is a slim folio-style case that gives you 360-degree protection, while also letting you check your phone on the go. 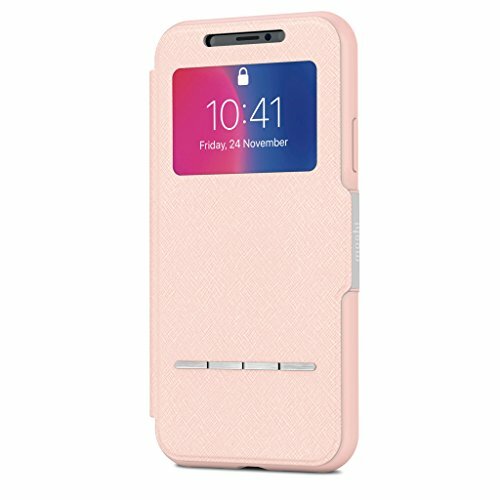 The case features military-grade drop protection and the front cover is secured by a magnetic clasp to ensure your touchscreen stays protected at all times. 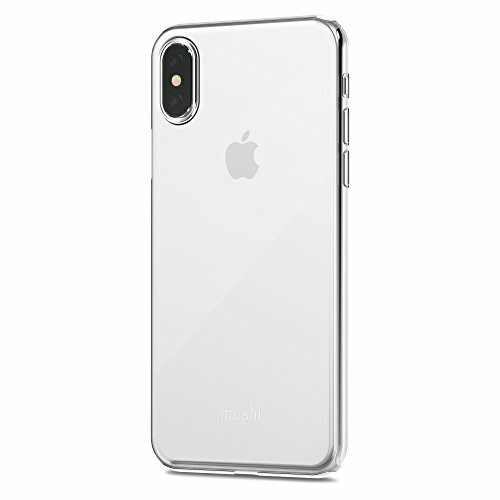 Durable yet stylish, StealthCover mirrors the glass look and feel of your iPhone with an opalescent finish for an added touch of sophistication. 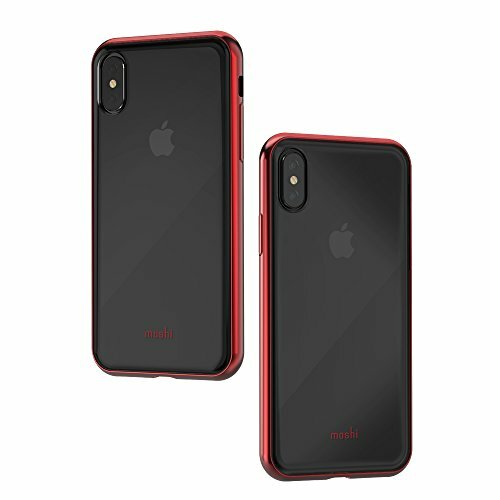 Built with iPhone’s wireless charging in mind, the case does not need to be removed when powering up. Moshi’s SteathCover is the perfect fusion of protection, functionality, and style, and is covered by Moshi’s limited lifetime warranty. Feathres 360-degree protection for your iPhone. Military-grade drop-protection (MIL-STD0810G, SGS-certified). Magnetic cover keeps your phone protected at all times. Check the time and notifications without opening the cover. Wireless-charging compatible. 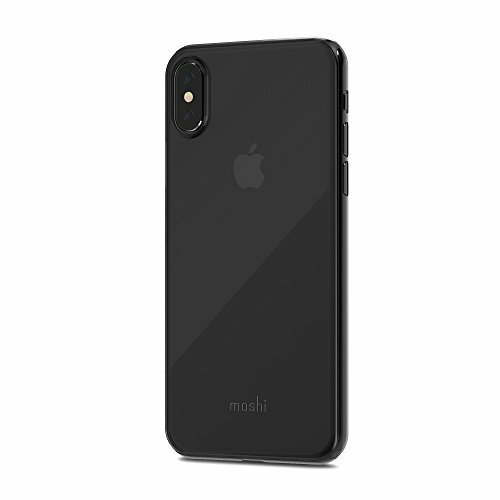 Compatible with Face ID so that you can unlock your phone and use Apple Pay. A magnetic clasp secures the case, and can be opened with one hand. Ultra-slim case with military-grade drop-protection. Polymer resists abrasion, heat, and bending. 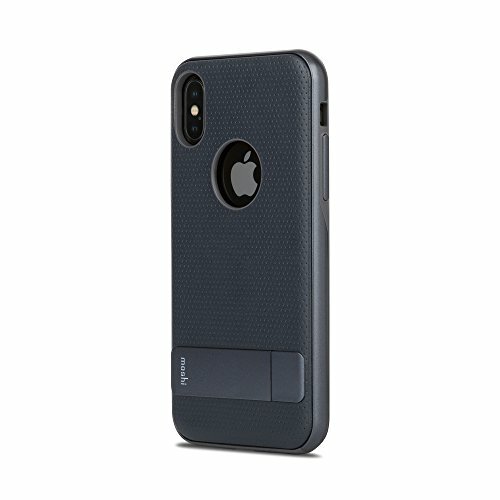 Moshi's iGlaze for iPhone 8 Plus is a hybrid construction case that is the ultimate fusion of design, functionality, and drop-protection. 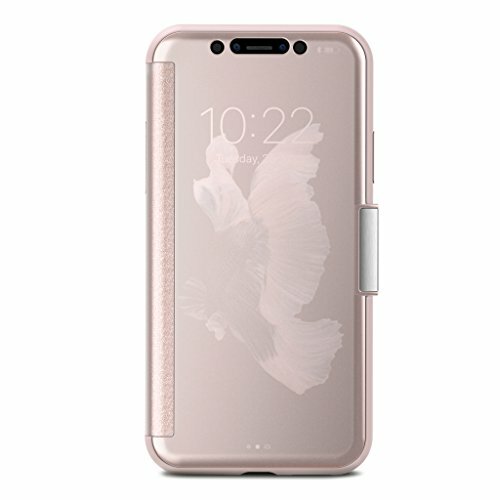 The shock-absorbing case is available in three colors: Armour Black with a brushed metal-like finish to portray subtle refinement, and Pearl White and Taupe Pink which both feature an elegant glass-like structure that mimics your iPhone’s transparent back. A new shatter-proof frame created using Moshi’s proprietary metal-vaporization process produces a smart, high-gloss border that is both stylish and protective. 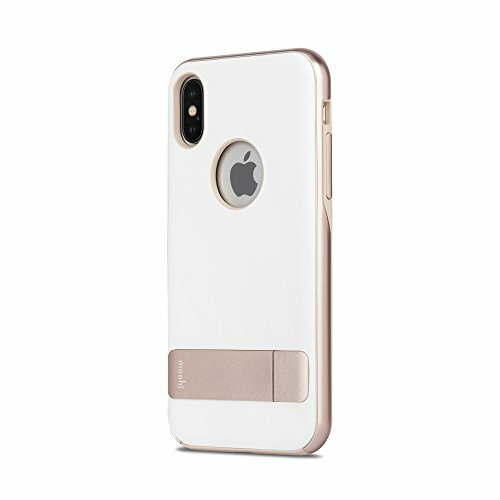 Not only attractive, iGlaze safeguards your iPhone from drops, scratches, and shocks, while also supporting your device’s built-in wireless charging. A specialised surface-coating resists abrasion, heat, and bending to ensure your case retains its luster over time. A raised bevel protects your touchscreen when laid flat, and all buttons, cameras, and ports are easily accessible. The next evolution in material selection and finishing, iGlaze provides first-class style and is backed by our limited lifetime warranty. Features Ultra-slim case with military-grade drop-protection. Polymer resists abrasion, heat, and bending. Fully-encased volume and power buttons. Proprietary hybrid construction with multiple color options. Raised bezel to protect your touchscreen when laid flat. Wireless-charging compatible. TriClearTM coating resists water, dirt, and scratches. 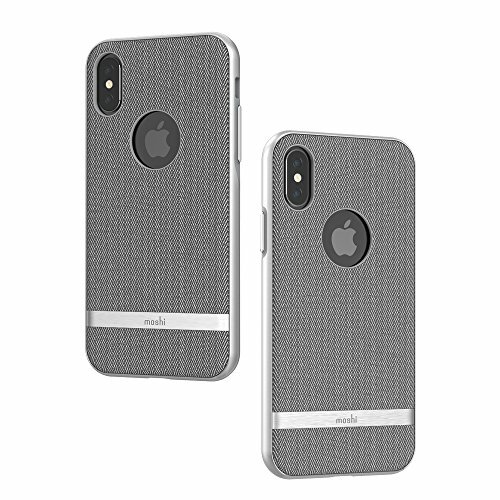 Moshi's Vesta for iPhone is styled with a twill pattern and metallized frame to beautifully combine a vintage look with modern sophistication. It features military grade drop-protection and a raised bevel to protect your touchscreen when laid flat. Vesta's TriClear™ coating resists water, dirt, and scratches to ensure your case retains its luster over time. Vesta is available in Herringbone Gray, Bahama Blue and Blossom Pink, and is backed by our limited lifetime warranty. Features Ultra-slim case with military-grade drop-protection. Sophisticated twill pattern and metallized frame. TriClear™ coating resists water, dirt, and scratches. Raised bevel to protect your touchscreen when laid flat. Hybrid construction (flexible and hard materials) for added protection. Wireless-charging compatible. Durable polymer to resist abrasion, heat, and bending. Clear backside to showcase your iPhone's design. 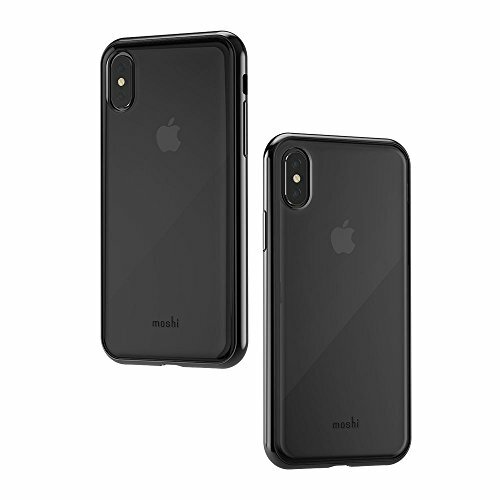 Moshi's Vitros for iPhone X is a slim, clear case that provides drop-protection in a minimalist form factor. Its shock-absorbing frame uses a proprietary metal-vaporization process to create a high-gloss finish that is subtle and refined. Not only stylish, Vitros safeguards your iPhone from drops, scratches, and shocks, while also supporting your device’s built-in wireless charging. Created using a durable polymer, the case has been tested to resist abrasion, heat, and bending to ensure it retains its luster over time. The case features a raised bevel to protect your touchscreen when laid flat, and all buttons, cameras, and ports are easily accessible. Vitros is available in Crystal Clear, Jet Silver, Crimson Red, Orchid Pink, Raven Black, and is backed by our limited lifetime warranty. Features Ultra-slim case with military-grade drop-protection. Durable polymer to resist abrasion, heat, and bending. 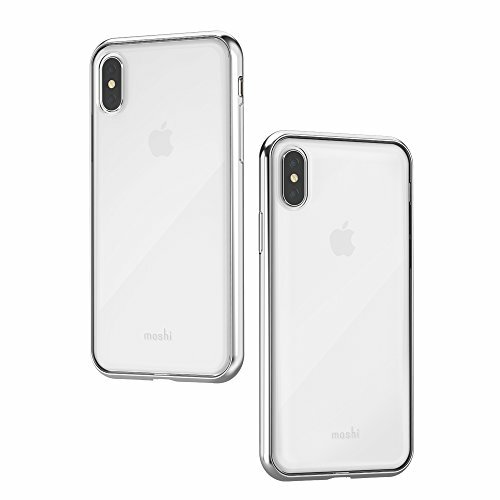 Clear backside to showcase your iPhone’s design. Fully-encased volume and power buttons. Raised bezel to protect your touchscreen when laid flat. Metallized frame with multiple color options. Wireless-charging compatible. 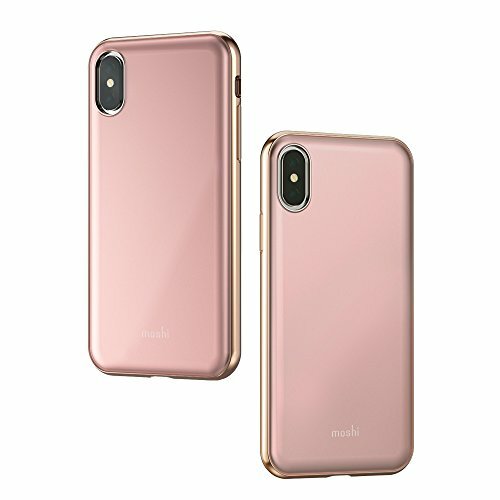 Moshi's SuperSkin for iPhone is an ultra-thin, protective cloak for people who adore the naked look and feel of their iPhone. At just 0.35 mm thin, it is one of the slimmest cases in the world, offering superior scratch resistance from keys and other everyday items. SuperSkin’s extreme clarity allows the design of your phone to shine through, and a non-slip finish provides improved grip for added peace of mind. The case is easy to install, and features a raised camera cut out to protect your lens when laid flat. SuperSkin is available in Stealth Black and Crystal Clear. Features Exceptionally thin case at just 0.35 mm. 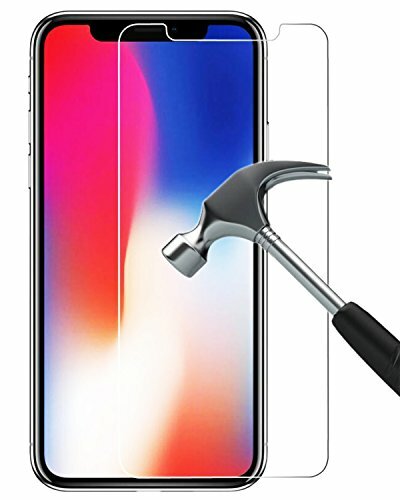 Provides scratch resistance for your iPhone. Non-slip finish for improved grip. Raised camera cut out. Easy to install, flexible polymer. 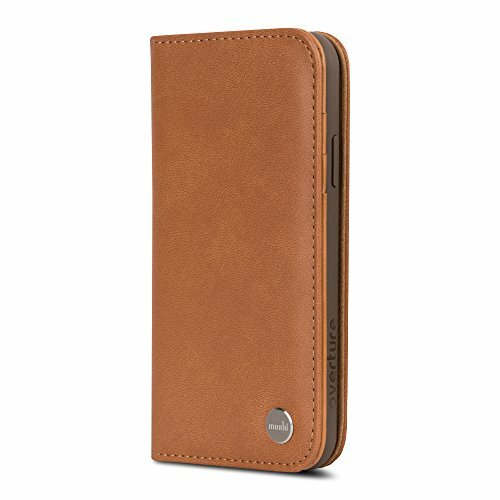 Overture is a folio-style vegan leather wallet case to carry your cards, cash, and iPhone in one sleek form factor. This elegant wallet case is carefully crafted by combining a weather-proof and durable exterior with our soft Terahedron microfiber lining, all reinforced with a shatter-proof polycarbonate frame. There's no need to remove your iPhone to take photos or videos: all buttons and cameras remain fully accessible. With a simple flip, Overture turns into a convenient stand for watching videos and browsing the web. Also included is a washable Neato screen cleaner specifically designed to keep your touchscreen free from fingerprints and smudges. 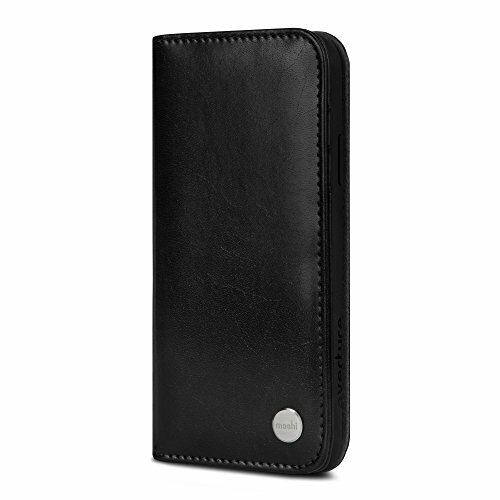 Features Three card slots and a full-length inner pocket for additional storage. 360-degree protection against scratches and shocks. Convenient folding stand design for watching videos. Equipped with Neato™, a detachable and washable microfiber cleaning pad. All buttons and cameras remain accessible while inside the case. Offers military-grade drop-protection (MIL-STD-810G, SGS-certified). Wireless-charging compatible. Offers military-grade drop protection (MIL-STD0810G, SGS-certified). 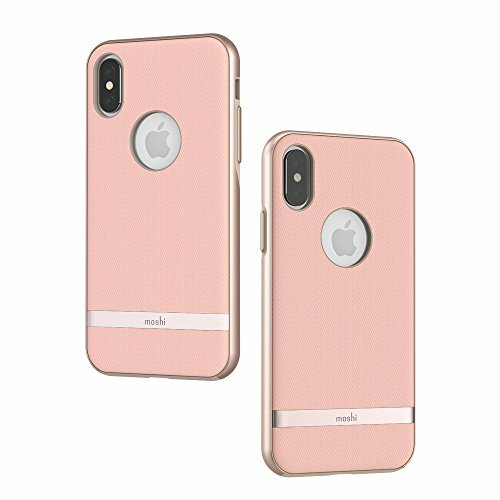 Moshi's SenseCover is an intricately-engineered portfolio case that provides smart functionality and 360-degree protection. 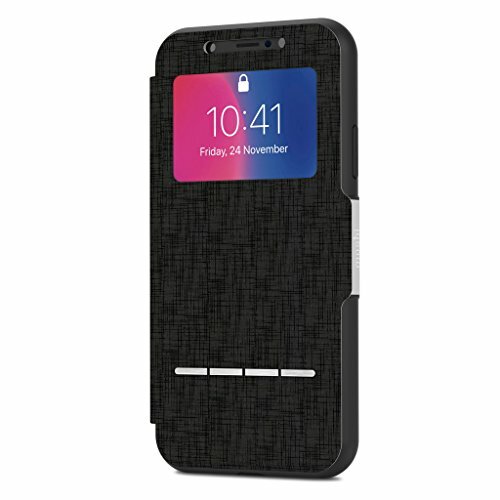 Embedded SensArray pads on the cover allow you to answer and talk on the phone, and a viewing window ensures you can use Apple Pay, and facial recognition to unlock your phone - all without having to open the cover. Moshi’s SenseCover is ideal for users who appreciate practicality on the go. 360-degree protection with touch-sensitive front cover. Magnetic clasp keeps cover closed when not in use. Offers military-grade drop protection (MIL-STD0810G, SGS-certified). Use Apple Pay, check date/time, and answer/reject calls without opening the cover. Convenient folding stand design for watching videos on your iPhone. Wireless-charging compatible. Kickstand for convenient viewing in both portrait and landscape modes. Proprietary hybrid construction with fully encased volume and power buttons. Specialized surface coating to prevent color-fading over time. 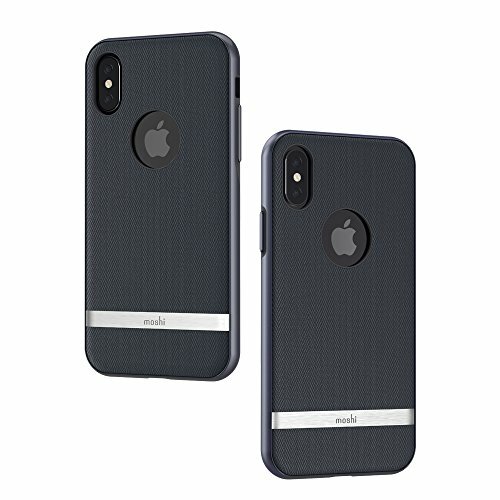 Moshi's Kameleon is a sophisticated kickstand case for the iPhone X that provides hands-free video viewing and protects your iPhone in style. A soft microfiber lining cradles your device while a military-grade drop-tested, highly-resilient hybrid construction shell cushions it from shocks and bumps. 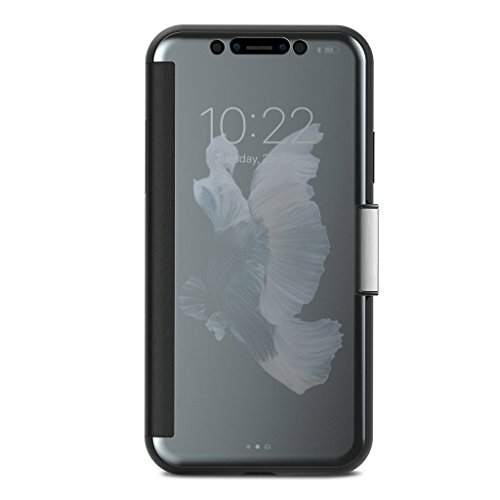 Slimmer than ever, Kameleon's built-in kickstand props your iPhone horizontally as well as vertically, allowing you to watch videos or FaceTime with someone completely hands-free. Designed for everyday use, Kameleon is the ideal kickstand case for those seeking stylish functionality and protection in one. Features 360-degree protection against scratches and shocks. Kickstand for convenient viewing in both portrait and landscape modes. Proprietary hybrid construction with fully encased volume and power buttons. Specialized surface coating to prevent color-fading over time. Raised bezel protects the display when device is laid flat. Wireless charging compatible. BUBBLE FREE: Advanced polymer adhesive prevents forming of air bubbles to ensure easy installation. INVISIBLE CLEAR with ANTI-YELLOWING: Life-time discoloration resistant. 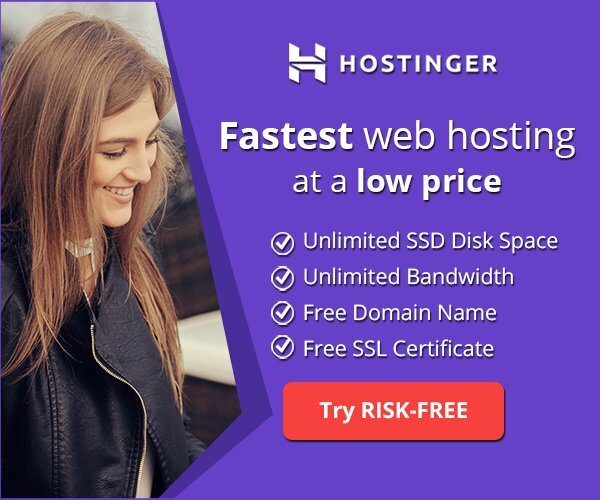 You get the highest visibility on your screen. 99.9% transparency with anti-fingerprint layer. THIN yet PROTECTIVE: 0.2 mm thick with 2.5D round edge & 9H surface hardness. CASE-FRIENDLY: Designed to leave a clearance from the round edges of the screen to allow for hassle-free installation of cases. 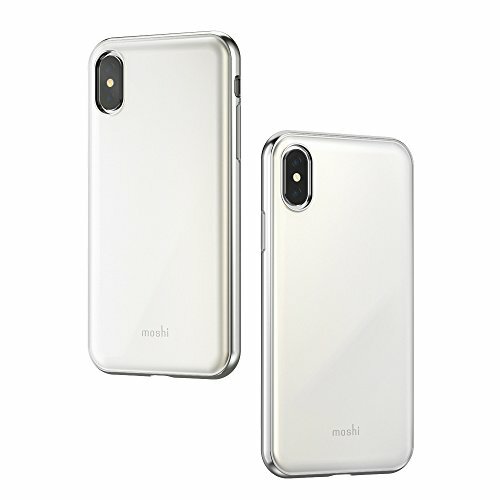 Introducing state-of-the-art Speira Screen Protectors for iPhone X / iPhone 10 Speira is dedicated to design and manufacture elegant accessories from cutting edge materials. When removed, no sticky residue remains on the screen. Prevents your iPhone screen from high impact drops, scratches, scrapes and bumps. Anti-Shatter: If broken under extreme pressure, it won't shatter into small pieces to keep you out of danger. In such case, the protector can be removed as a whole.